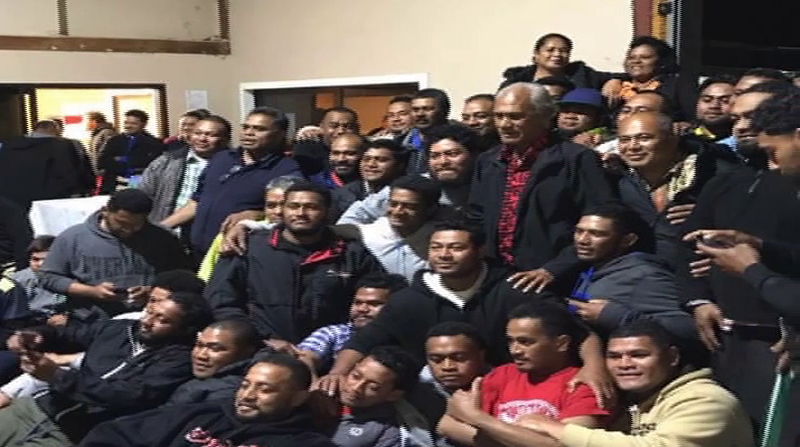 Tongan fruit pickers in New Zealand have asked their Prime Minister to consider concessions to be applied to their cargo shipped to Tonga at the end of their contracts. The issue was raised when Prime Minister ‘Akilisi Pohiva visited Kerikeri late last week. Tonga’s Liaison Officer to the fruit picking scheme – Sefita Hao’uli told Radio Tonga News from Nelson that their items were needed for daily living. “Whether it would be possible to consider some of the concession because they pointed out that amongst the things they bring back with them the furniture and piece of equipment for the families to use, there are also tools of commercial value which help develop their plantations and some of them have jobs as motor mechanics also there are home renovation or carpentry work to be done. So their request was mainly to consider those items, as being items of necessities that can help develop Tonga and in their view it should be considered as a category that could be duty free or some other concessions to be applied. The Prime Minister’s indications that he will take this up in the highest possible level, it means that they will likely to get an answer from the Government any time soon”, says Sefita. Hao’uli says the Prime Minister has reaffirmed farmers in Kerikeri that more work needs to be done to reduce problems caused by Tongans in their farms. Kerikeri farm employs about 80 Tongan fruit pickers annually. “There was mutual agreement between the Tongan Government and the employer to terminate the employment of 8 workers whom we found are unsuitable for further employment. Their productivity was questionable, their behavior was unacceptable and the rest I think most of our community have heard and understand. The Prime Minister’s visit was mainly to provide the assurance that this employer needed to ensure that there is a continuity of work and that relationship isn’t damage further by what we’ve seen out of these workers” he says. Tongan fruit-pickers in NZ picked and sometimes packed apples, lemons, oranges, strawberries and blueberries.